This weeks challenge at Just Add Ink is to add Wild Wasabi, Marina Mist, and Early Espresso! For my card I've used the new stamp set currently on offer at Stampin' UP! called - Reason to Smile. 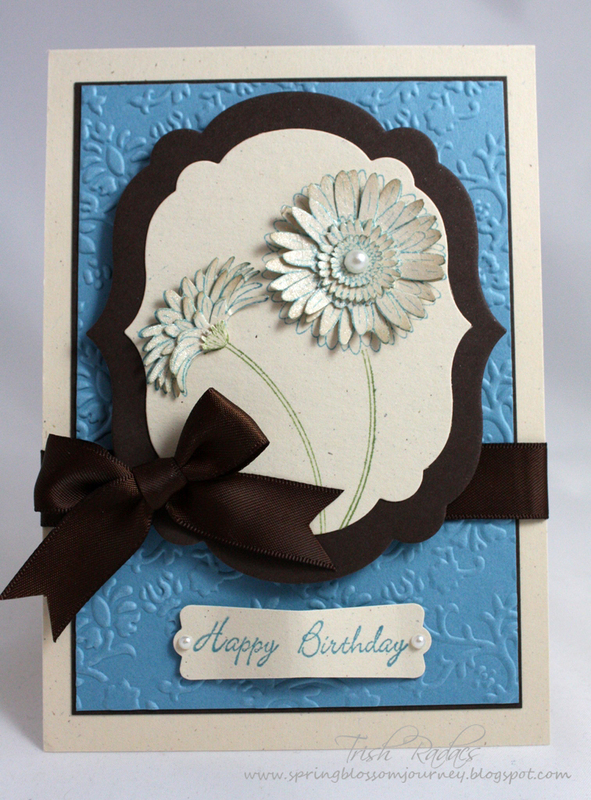 I stamped out the flowers 3 or 4 times and then fussy cut each layer out, this helped create a real 3D effect on the card. I just love my champaign shimmer mist and I couldn't help and use it on these flowers to make them all sparkly! I hope you hop on over to the JAI site to see the amazing creations by the other Design Team ladies. Wow! Trish, I am impressed with all that fussy cutting of the petals to make the daisies really come alive. This turned out beautifully. Very pretty card Trish. I love the dimension you've achieved on the flowers and the way they sparkle. Gorgeous Trish! I love, love, love the flower stamped, cut out and raised up - really effective! 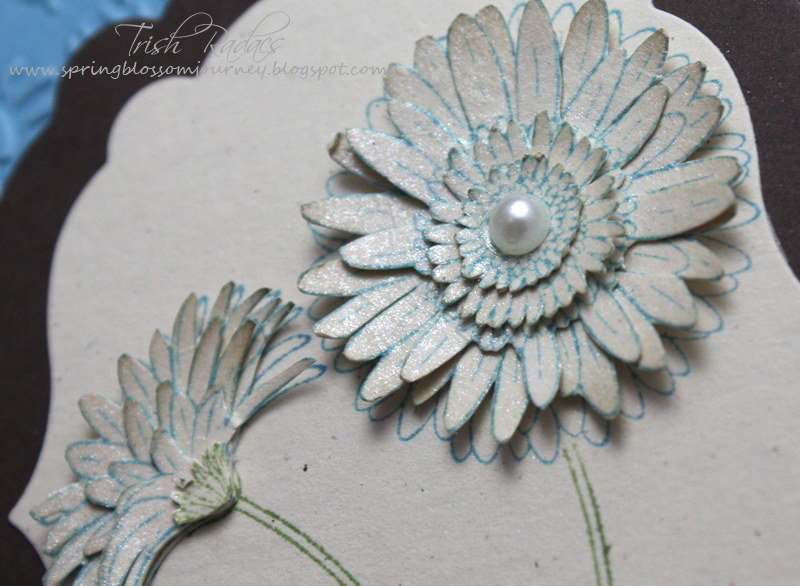 Cutting out the flowers gives this stamp set an entirely new look. It's beautiful! What a beautiful card, Trish; love the balance of colour. I, too, am in awe of the dimension you've achieved with all your fussy-cutting of the flowers - beautiful job, lovey!